My first attempt at baking bread...a success! Well, I can't say it's a complete success yet, not until I taste it. But I can't do that 'til Brett gets home and that's way later tonight. Anyhoo, I'm so excited about this bread. If it tastes as good as it looks...I'm going to be baking bread 'til the cows come home!! 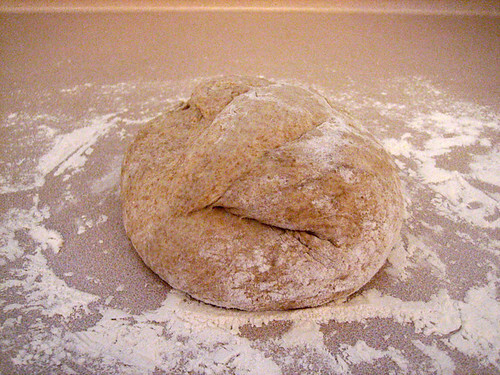 Don't know what I meant by that, but what I do know is that I'll be making a whoooole lotta bread! 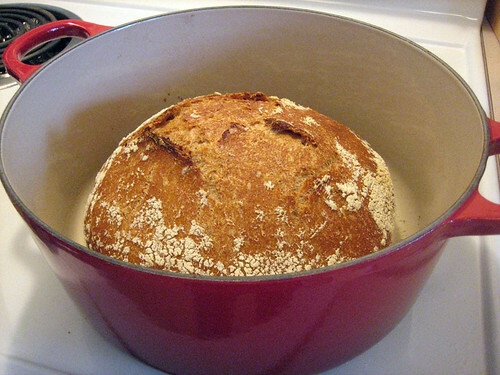 Not only am I in love with this recipe, but I'm even more in love with my Le Creuset dutch oven. Brett was amazed and commented on how it really does look like artisan bread that you can buy at specialty stores...or at Safeway. 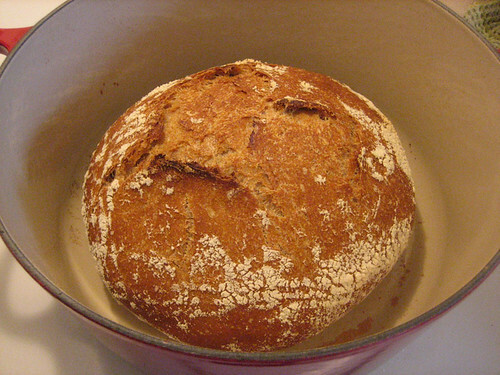 The bread looks exactly the way the recipe said it would, and exactly like the breads all those other people in blogland who made this recipe. 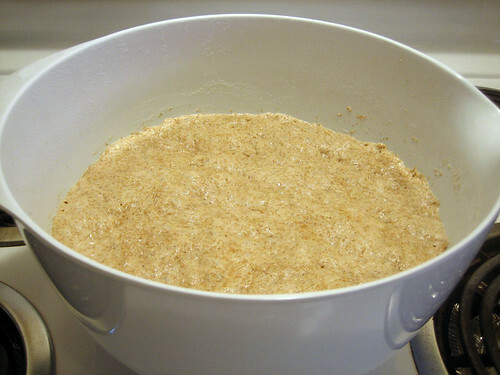 I think the next time I make this I'll try it with straight up all-purpose flour, rather than the 2 cups whole wheat and 1 cup all-purpose flour mix that I used. I don't eat white breads unless there isn't a choice, but I just want to see the difference. Anyways, I'm so excited and looking forward to dinner now, I think I'll take advantage of the little one napping and start dinner now. No one has ever protested against chili simmering all day, right?